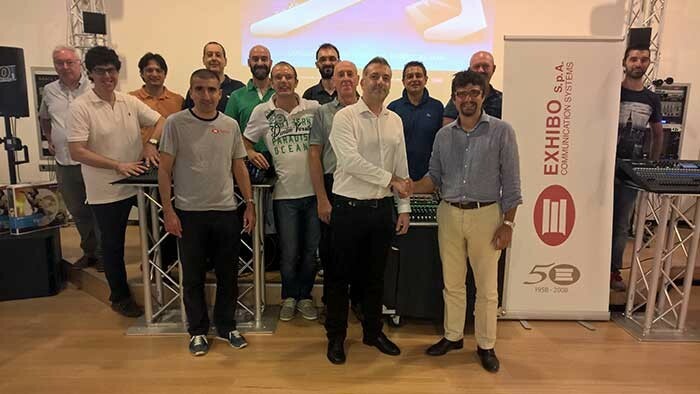 Allen & Heath has devised a new distribution strategy in Italy, recruiting Exhibo S.p.A. to manage the brand’s installation, touring, rental and broadcast sales portfolio, and enabling existing partner, EKO Music Group, to focus on growth in the MI and retail sector. “Allen & Heath’s product portfolio is renowned for being diverse, covering the whole spectrum of audio mixers from pro touring to home studio and DJ. The strategic decision to split representation into two channels will enable our partner companies to expand the brand’s reach in the specialist areas where they excel, and service our customers comprehensively,” comments Allen & Heath’s area European business development manager, Fred Cresson. Based in Milan, Exhibo has been established for 50 years and has a wealth of experience in the audio rental, live, and installation fields. The company will offer a selected range of products such as dLive, GLD and Qu to professional users, while EKO, renowned specialists in MI, will be managing the ZED, Xone and Qu ranges for their extensive retail network.